Visakhapatnam: A fit-again pacer Jasprit Bumrah, who missed the last ODI in Ranchi, bowled with vigour as eight Indian players turned up for the optional practice session on the eve of the series-deciding fifth and final game against New Zealand in Visakhapatnam on Saturday. The main focus at the Dr YSR ACA-VDCA Stadium practice arena was India skipper Mahendra Singh Dhoni, who was seen taking tennis ball throw downs, to get used to the bounce of the pitch. After that Dhoni faced the conventional white ball and practised his trademark shots in a lengthy session at the nets. The weather remained bright and sunny, clearing any apprehension of a downpour due to cyclone Kyant, which has subsided. 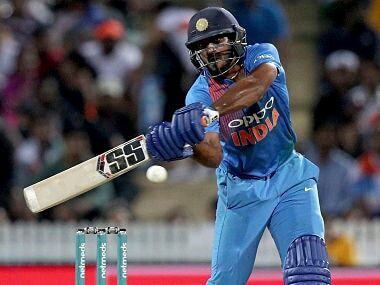 Head coach Anil Kumble engaged in a long one-on-one session with Kedar Jadhav, who has stunned many with his exploits, picking up six wickets from four matches. The series poised at 2-2, India's other top-order batsmen -- Rohit Sharma, Ajinkya Rahane and Virat Kohli -- stayed away from the nets. 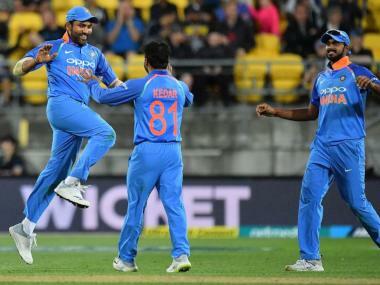 Included in place of Bumrah in the last One-day International, Dhawal Kulkarni bowled full and lacked control in Ranchi, conceding 8.42 runs per over for his 1/57 as New Zealand got off to a splendid start. 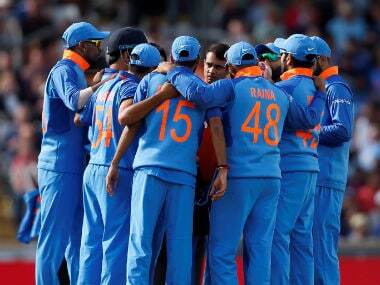 With Bumrah looking fit, he may be brought back into the playing XI on Saturday.